Brunch Tickets Are SOLD OUT! Join us Saturday at 3:30pm for Happy Hour! $10 online or at the door! 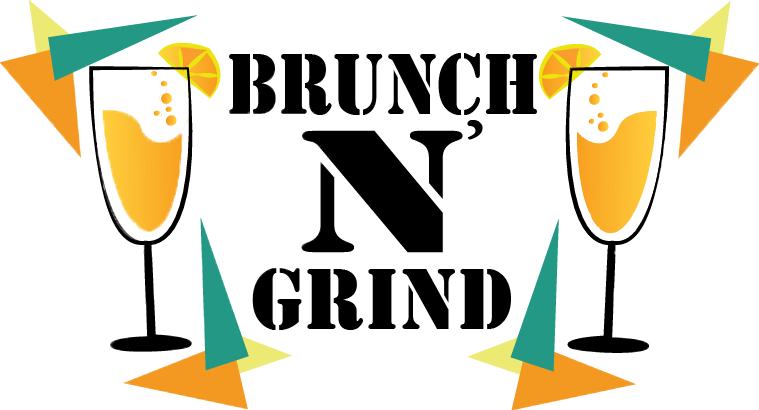 Brunch N' Grind is back with another UNLIMITED brunch party in New Jersey! Our August brunch was a sold out event with young black professionals from across the tri-state area and we are doing it again! Don't miss out on a brunch buffet, unlimited mimosas, a photobooth and turnin' up with young black professionals from NY/NJ. After brunch, meet us at the bar for more drinks and liquor infused cupcakes from She Imagined Sweets. Get on your grind and come brunch with us! Don’t let someone catch you slipping…seats are limited! See you at the next brunch! Meet us on the rooftop for UNLIMITED food and mimosas and link up with young black professionals from across the tristate. We're partnering with NJPAC to provide 2-for-1 tickets to Brunch and Hot 97's Hot For The Holidays Concert at Prudential Center at 8pm featuring: Usher, Travis Scott, T.I, Young Thug and MORE! Pregame for the concert with dope tunes by DJ MPURE and half off drinks after brunch. Come through, enjoy great food & make valuable connections! Dont' sleep...our brunches are guaranteed to sell out. Ticket includes unlimited mimosas, soft drinks, a full buffet and access to the after-brunch happy hour.